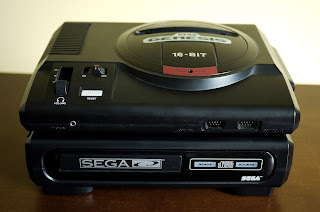 This is a two part post that will be continued on Thursday in an article about the 32X. 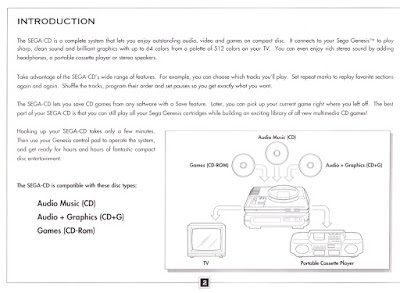 The Sega CD is an add-on for the Sega Genesis so the Genesis is required in order for the Sega CD to function. 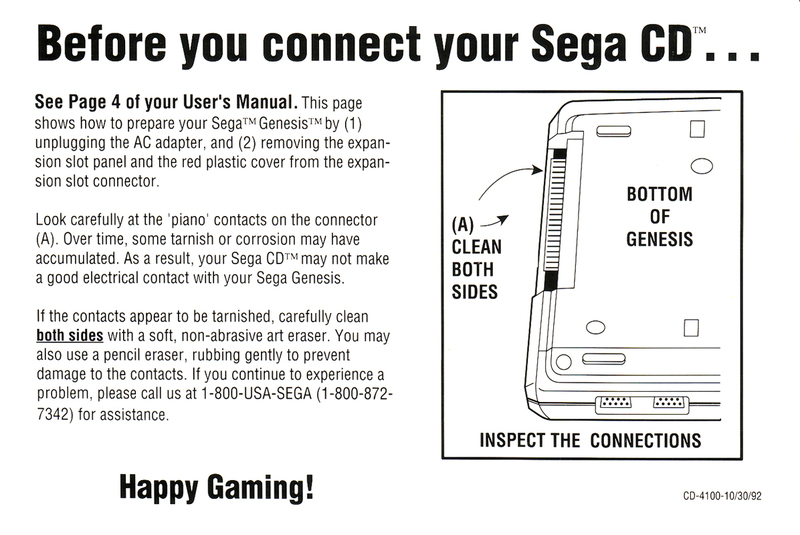 It released in North America three years after the Genesis on October 15, 1992 and retailed for $299.99. 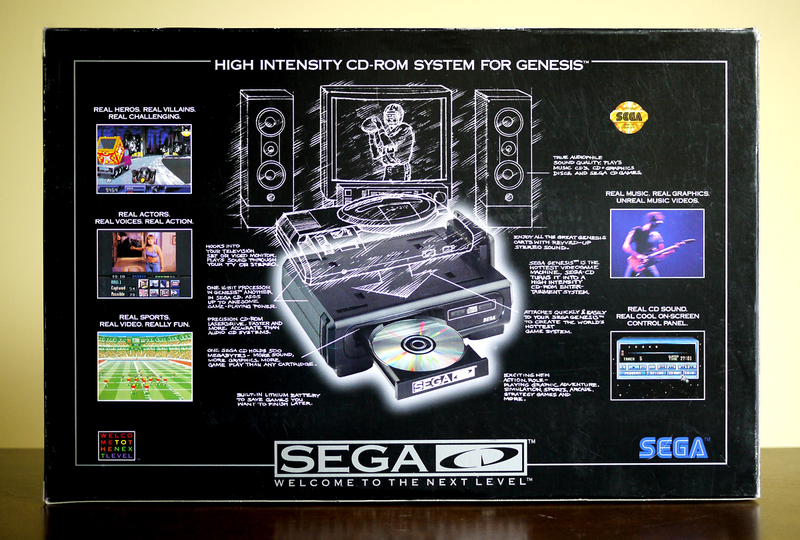 Players were welcomed to the "next level" by Sega's peripheral that can play CD-ROM games, audio CDs, and audio + graphics discs. 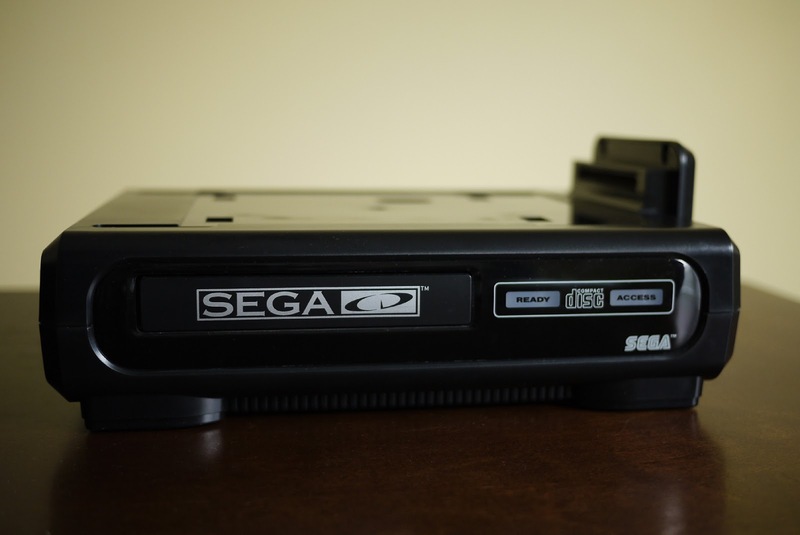 Despite the high price, there was excitement and positive reviews for the Sega CD initially but that began to wane over time as there was a lack of much higher quality games over what was available for the 16-bit consoles. Why spend $300 on an upgrade with the promise of next level games when you could just buy six more Genesis games that could come close in quality and certainly be just as fun? 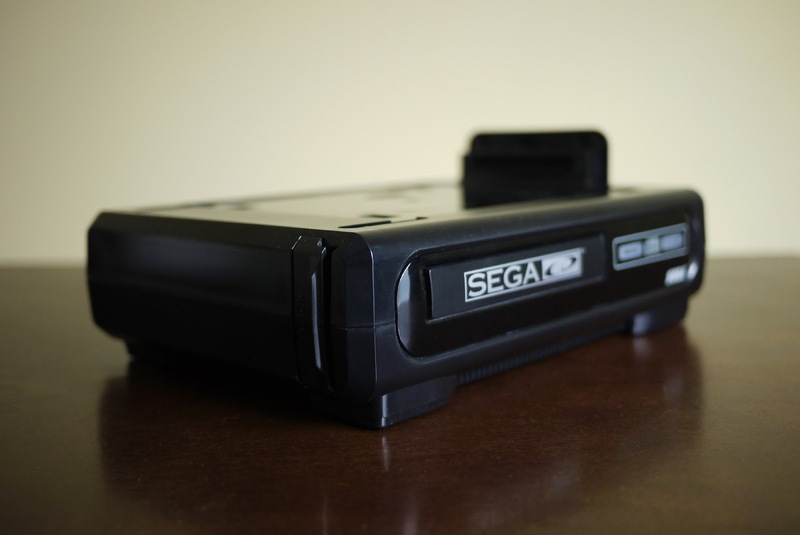 Aside from a large number of 16-bit ports, often with minor changes and sound upgrades, about a fifth of the Sega CD's 200+ games are full-motion video (FMV). 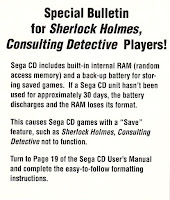 Of the original six pack-in titles, four are Genesis ports (Columns, Golden Axe, Revenge of Shinobi, Streets of Rage) and one is Sherlock Holmes: Consulting Detective, a FMV game. The other game is the side-scrolling shoot-'em-up Sol-Feace. 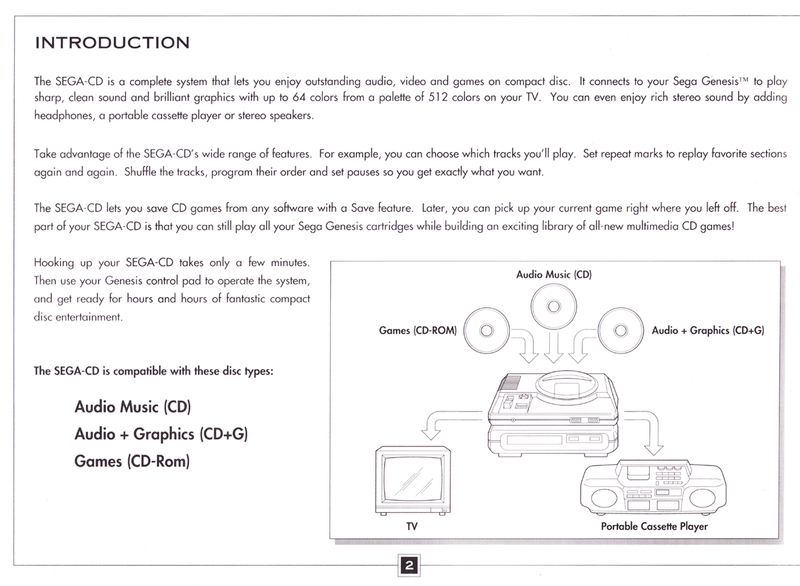 Although I already owned half of the games on Genesis, I will commend Sega for including so much software, as along with the games the Sega CD also came with a music CD and an audio + graphics CD which is essentially music with moving pictures. 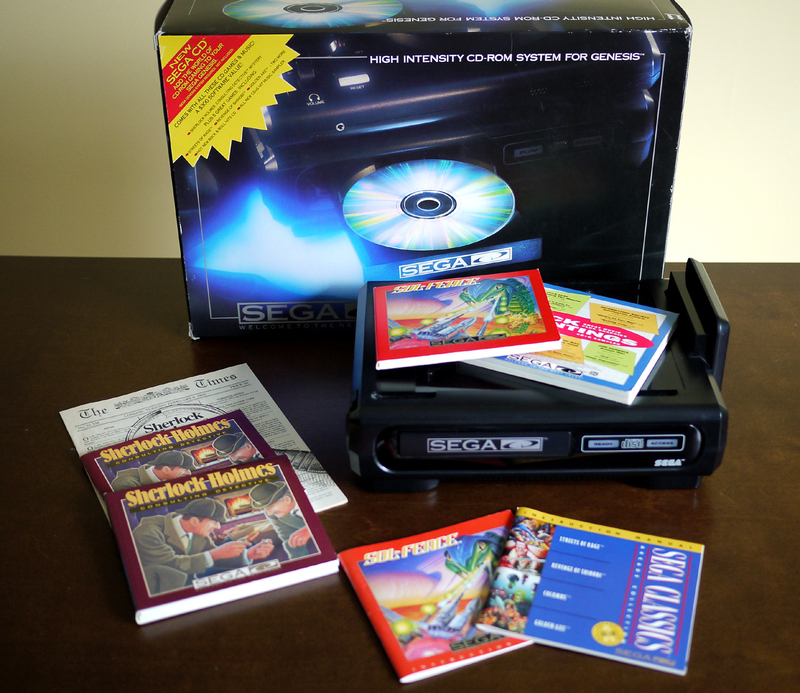 There were seven launch titles released alongside the Sega CD, five of them being FMV games. While initially intriguing, FMV games often feature limited interaction and poor quality video on the Sega CD. One FMV launch title, Sewer Shark, became a pack-in for the second Sega CD model, and another, Night Trap, was often used by politicians and in a congressional hearing to debate violence and other adult content in video games. Night Trap is probably one of the first games that comes to mind when one thinks of the Sega CD and FMV games in general are what many people that didn't own a Sega CD may think of when reflecting on the system. 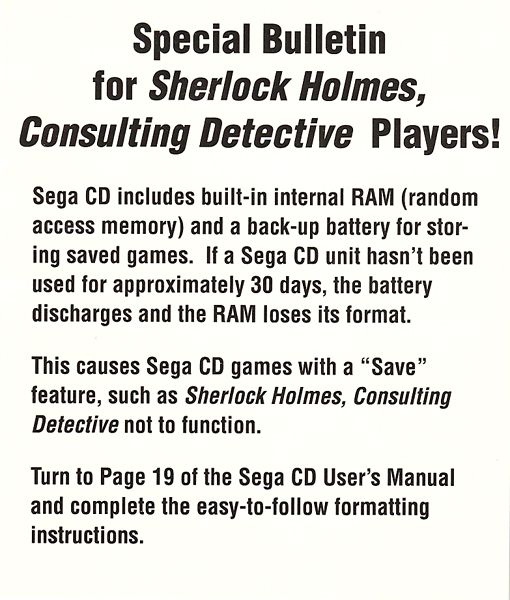 However, there are some great games, like Sonic CD and Snatcher. Possibly the best versions of Eternal Champions, Earthworm Jim, and Final Fight are on the Sega CD as well. Role-playing fans have excellent options too: Lunar, Lunar 2, Popful Mail, Vay, and Dark Wizard. There are also PC ports like Rise of the Dragon and The Secret of Monkey Island. The aforementioned Snatcher is my favorite game on the platform and although I highly recommend it, it's not an easy game to acquire if you were to pick up a Sega CD today. Part of the game's high demand comes from it being designed by Hideo Kojima who now has a large following thanks to his Metal Gear series. 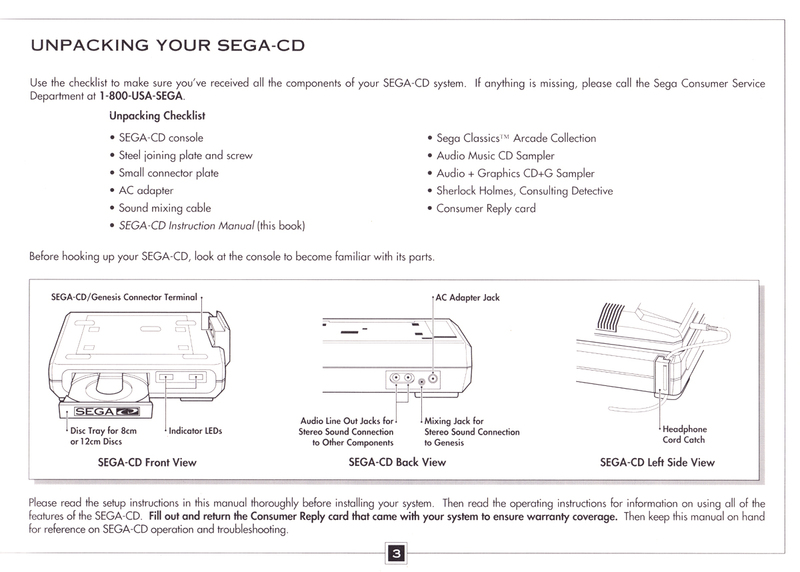 In Japan the game was released on computers, PlayStation, and Saturn, but in North America the Sega CD version is the only one available. When I was 17 I got my first job not to save for college or to buy my own car; nope, I got a job at Kmart just so I could afford to buy myself a Sega CD. It was not a great job and only paid around minimum wage ($4 and a little change) but I managed to work long enough to pay that $299.99 plus tax. Oh yeah, I also purchased Night Trap at the same time because it looked so cool! After Night Trap I never purchased another FMV game though I did rent a bunch of them from the local video store. I'm not going to say they are all bad, and some people do love them, it's just that the ones I've played are short experiences with limited replay value. I'm not disappointed in my purchase of the Sega CD even though the price was quite high and I never bought many games for it. Sometimes getting the chance to play one great game like Snatcher is enough to enjoy a platform, though I also had a good time with Lunar: The Silver Star which is a game that's since been re-released on other consoles and handhelds a few times. 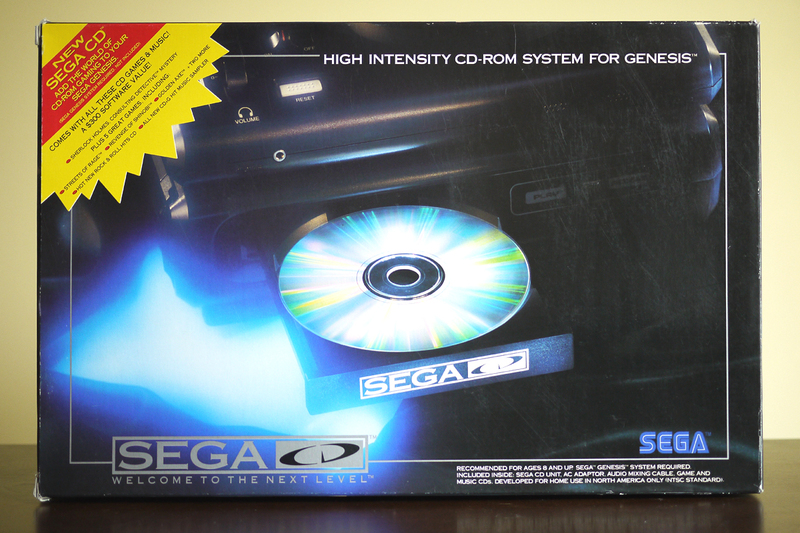 As stated above, I'll continue talking about the Sega CD a little bit more in Thursday's 32X post.